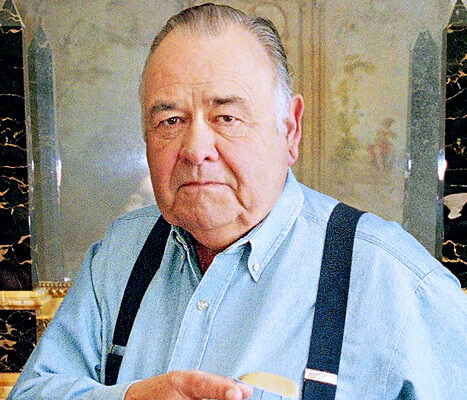 Jonathan Winters, the comic legend known for his improv work and characters like Mearth on Mork & Mindy, died Thursday, April 11, of natural causes. He was 87. Winters rose to fame in the late 1950s after winning a talent contest in Dayton, Ohio, which led to radio gigs and, eventually, appearances at comedy clubs in New York. Those were followed by comedy albums, and then parts on The Tonight Show Starring Johnny Carson, Mork & Mindy, Hee Haw, and The Dean Martin Show, among others. One of his best-known characters was Maude Frickert, an old lady with a surprisingly quick wit. He also had notable roles in films including the 1963 classic It’s a Mad, Mad, Mad, Mad World, the 1970 flick Viva Max!, and the 1966 film The Russians Are Coming, The Russians Are Coming. Winters was preceded in death by his wife of more than 60 years, Eileen Schauder Winters, who died on Jan. 11, 2009. He is survived by two children and five grandchildren.